This exciting free test tells it all !!! This exciting FREE test can be the most amazing experience you have ever had!!! 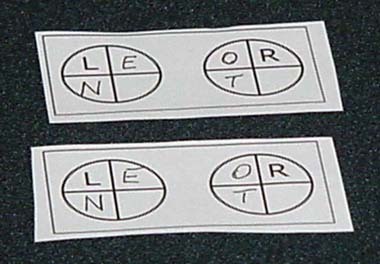 Write letters into the transfers: both diagrams with identical letters, which should be arbitrary. 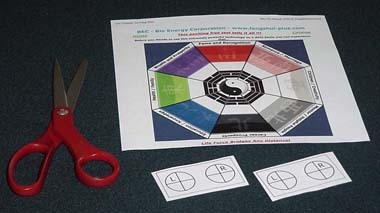 Put the bagua with the Chi Card® below it into the location where you want a specific Feng Shui Energy and put your transfer onto the corner that represents the desired energy. 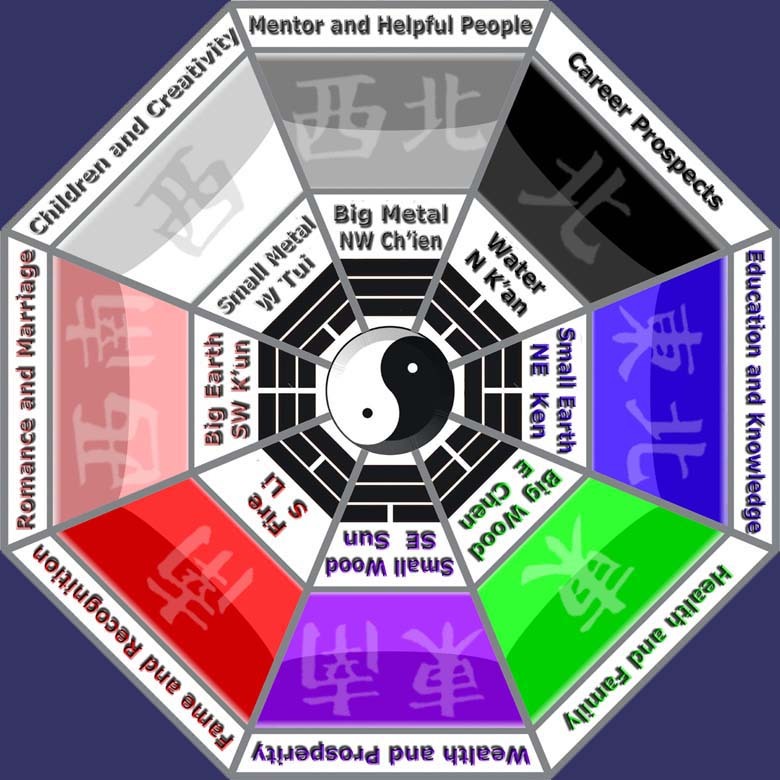 This capability goes way beyond the claims of Feng Shui traditionalists that charge you huge amounts of money for their advice. 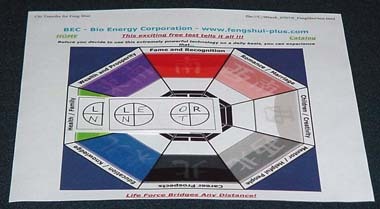 You can carry the other transfer diagram on you, and this way you will draw the Feng Shui Energy of your choice into your body WHEREVER YOU ARE !!! 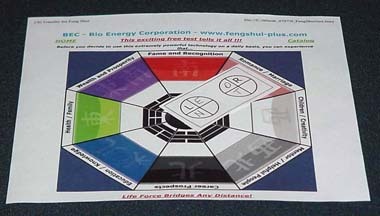 This, your advanced Feng Shui capability goes way beyond the claims of Feng Shui traditionalists. 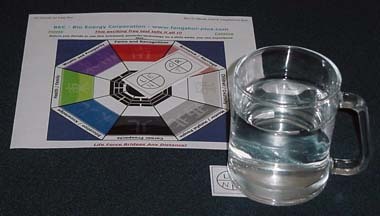 You even can energize water with this energy: This Feng Shui Water will be clear and optimized and it will be charged with the Feng Shui Chi Energy that you choose. This capability goes way beyond the claims of Feng Shui traditionalists. 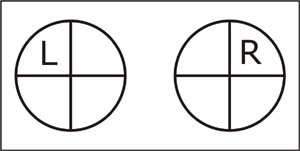 And now you can do what none of the Feng Shui traditionalists can do: Print out and individualize two additional transfer cards, then combine the energies of two or more different Feng Shui corners and project them into one location or to yourself or into water. In the example above, you combine the "wealth and prosperity" corner with the "career prospects" corner. 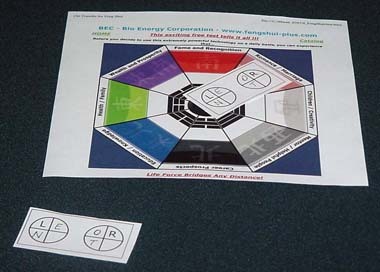 You can do what none of the Feng Shui traditionalists can do: Send the energies of the same Feng Shui corner to two different locations in your room, home or business, and this energy will be the dominant one, because you add to it the power of the Chi Generator®, with which your Chi-Card® is connected. In 2 hours only you can now gain an experience, which most Feng Shui traditionalists would love to conceal from their potential clients. Then print it out, either carry it with you (it's that easy! - something many Feng Shui popes certainly do not like!) 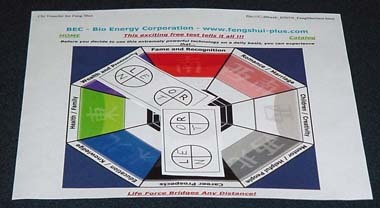 or put it to a place where you like this specific Feng Shui energy to be active !!! © 1996-2004 Hyper Space Communications & Technologies Inc.